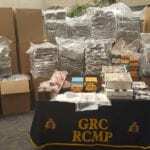 July 27, 2018, Winnipeg, Manitoba – A routine RCMP check on an eastbound semi-trailer near Winnipeg resulted in the largest pot bust as a result of a traffic stop since 2015. Police report on July 22, a RCMP officer on traffic patrol stopped a commercial semi-trailer on the Trans-Canada Hwy at Westhawk, Manitoba. The stop was initiated to conduct a regulatory inspection of the driver’s paperwork. These checks are done to ensure the safety of commercial vehicles and their loads as commercial vehicles are involved in approximately 20 per cent of road fatalities every year in Manitoba. When the officer stopped this vehicle and checked the driver’s paperwork, several discrepancies were discovered, say police in a news release. The load was then examined by several officers in order to try and resolve those discrepancies. 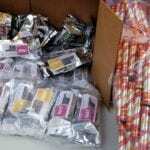 When the officers opened the trailer, they found 925 pounds of vacuum-packaged marijuana as well as 75 pounds of cannabis shatter, oils, and edibles hidden among the legitimate load of food products. The driver of the vehicle was arrested and the drugs and the semi-trailer were seized. As a result, Claudiu Huber, 46, of Agassiz, BC, is charged with Possession for the Purpose of Trafficking and Trafficking a Controlled Substance. He has been released pending a future court date. 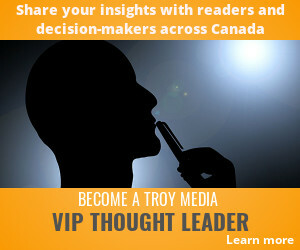 The semi-trailer load originated in the lower mainland, B.C., and was destined for southern Ontario. This seizure is the largest marijuana through a traffic stop in Canada since 2015.